South Korean and American Airmen step to their jets in preparation for takeoff during the Buddy Wing program March 11 at Kunsan Air Base, South Korea. 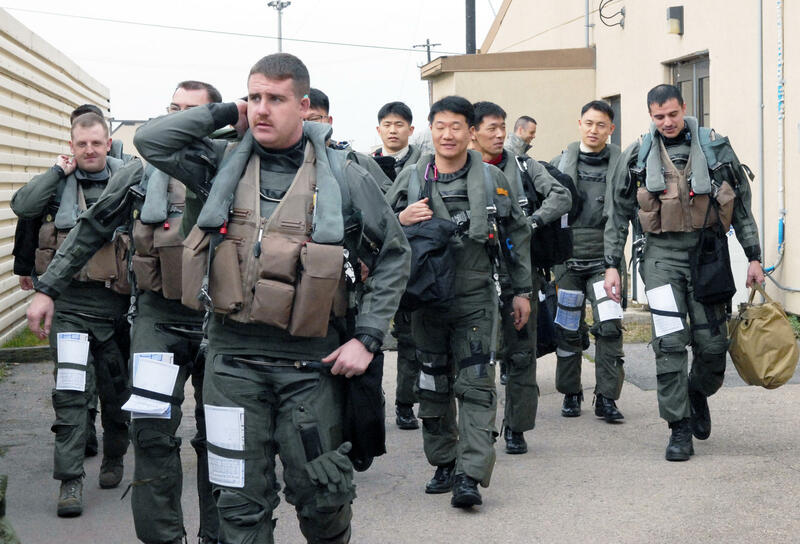 The Buddy Wing program is designed to increase United States Air Force and South Korean air force interoperability. Two annual seasons stand out for large scale military exercises on the Korean Peninsula: late winter and late summer. The next “Ulchi Freedom Guardian exercise” is scheduled for this August. Ulchi, by the way, is the name of a famous Korean general. Last year’s exercise involved about 17,500 U.S. service members and more than 50,000 South Korean forces. 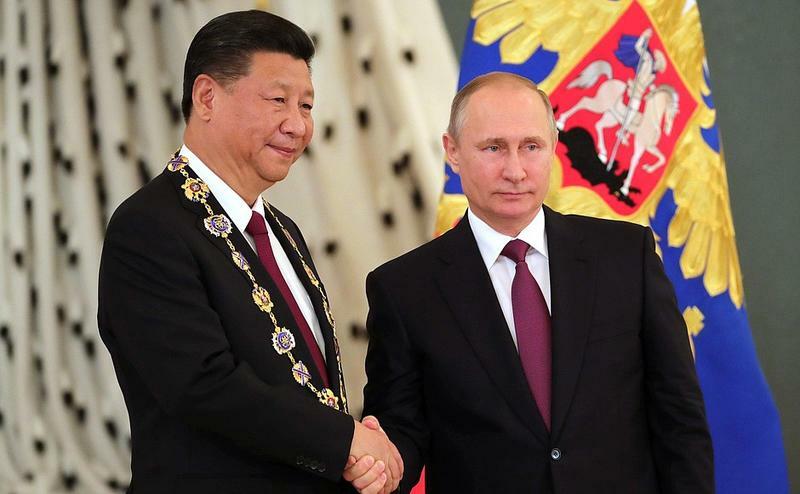 Computer simulation also plays a central role in “Key Resolve” — part of the exercises that usually take place in the first quarter of the year. “Foal Eagle” is an operation that involves extensive field training — troops, sailors and hardware. In the past this has included aircraft carriers, nuclear submarines, and strategic bombers. This year, the Key Resolve and Foal Eagle exercises were pushed back and slightly downsized because of the Olympics in South Korea, and discussions with North Korea. There have been cases in the past when U.S. and South Korean exercises have been cancelled. 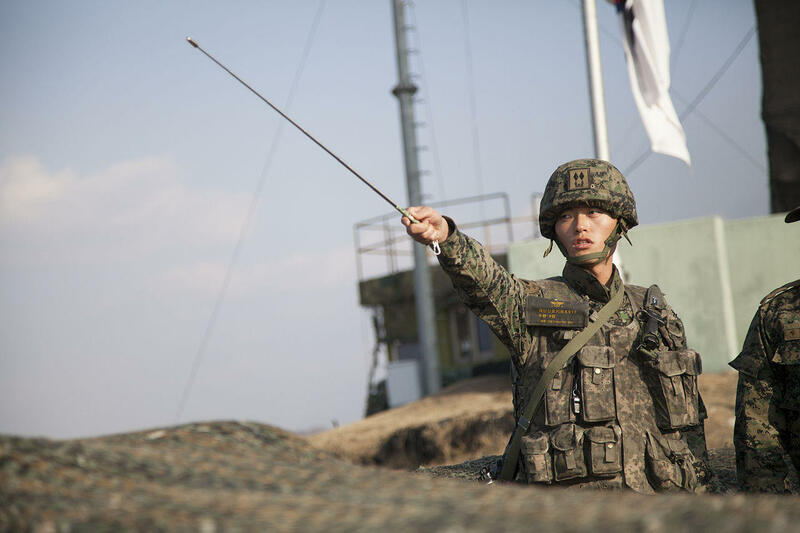 Republic of Korea Army 1st Lt. Choi Min Kyu points across the border into North Korea while briefing Vice President of the United States Joe Biden, at Observation Point Ouellette, South Korea, Dec. 7, 2013. In 1992, the administration of George H.W. Bush did so to encourage North Korea to cooperate with nuclear inspections. In 1994, the Clinton Administration did the same for a similar reason. 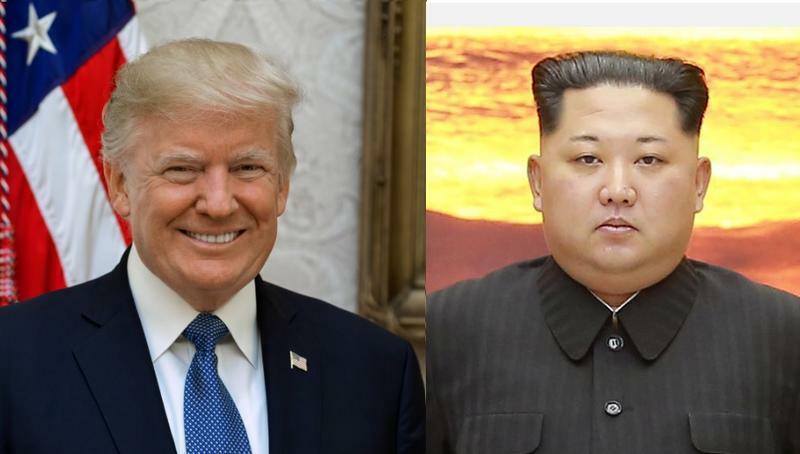 In both cases, North Korea did not uphold its side of the bargain.